Airports Authority of India will assist stakeholders to start cargo services from Sambra airport in Belagavi. This was announced at a recent meeting of airport authorities and representatives of trade and industry, agriculture organizations, and the universities of agriculture and horticulture. 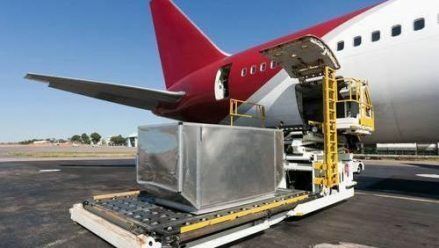 In the first phase, belly cargo — carrying of goods in the luggage compartment of passenger airlines — will be allowed. If found sustainable and profitable, some exclusive cargo planes would be invited to fly from Sambra. Air Cargo handling facilities will be launched by utilising the old airport terminal. Airports Authority of India Cargo Logistics and Allied Services Company Limited, will install screening and X-ray facilities at the proposed cargo facility. A dedicated cargo facility with cold storage, air conditioned vehicles and exclusive staff will be introduced later. At a recent meeting, representatives of trade bodies tried to impress upon the AAI authorities that Belagavi needed a dedicated cargo facilities centre in Sambra. They said that Belagavi already had a vibrant sea trade in industrial goods and farm produce and it could be done by air, to ensure speedy delivery and higher margins. “At present the biggest markets available to our agriculturist are Mumbai, Goa, Hyderabad, Chennai and others. But we are unable to exploit the potential due to lack of infrastructure facilities,” said Satish Tendolkar, president of citizens council and a former president of the Chamber of Commerce in Belagavi.